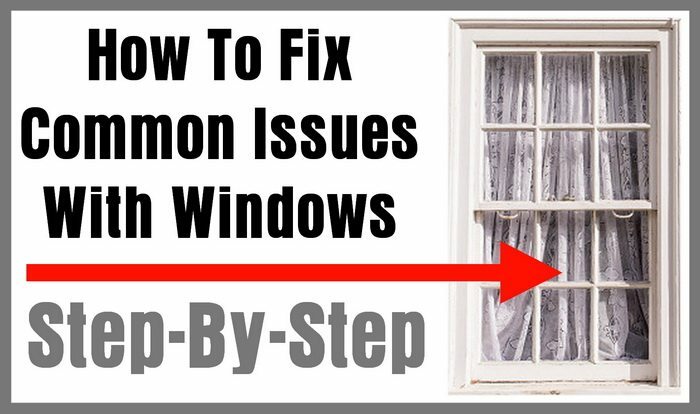 Fix your home window problems. Sliding or gliding windows can get stuck. They do so often, and it’s sometimes difficult to get them moving again. To understand how to repair a stuck window, you need to know they work. We will show you how a common window works and how to fix it. 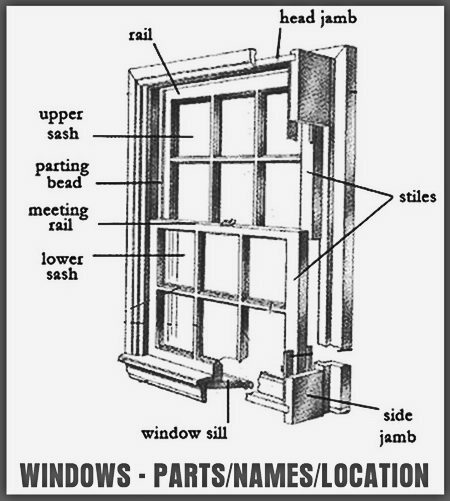 Most sliding windows have a single section (sometimes more) called a sash, in which the window pane is located, that slides along a track, located at the top and bottom of the window (in some cases, the tracks are on the side, and the window slides up and down). The tracks can be metal, wood or vinyl, and some sashes have actual rollers on the bottom and top. The most common problem with sticking windows, is a dirty track. It’s easy enough to clean the track and make sure the sash slides easily. The catch, or latch, (which is used to secure the window when closed) can also fail, causing the window to become stuck. This would necessitate the replacement of the catch, which means ordering a new part for your window. For causes outside of those two, the repairs are generally simple enough. You probably have the tools on hand as well, as most will only take a screwdriver, pliers or a hammer. If other tools are needed, we’ll mention them in our instructions below. If your window is sliding, but it’s doing so roughly and you’re afraid the window may become stuck or might even break, then you may want to repair it. Rough sliding can cause issues later, and it’s best to take care of the problem while it’s still relatively mild. Take off any parts (latches or clasps) that are holding in the window in place. Lift the window up into the top track, and tilt the bottom so that you can slide the window out. Some windows will have specific notches that you’ll need to line the rollers up with before it can be removed. Once the window is removed, carefully set it aside. Make sure the track is completely cleaned, so that the sash doesn’t get caught up once its replaced. If it’s not the track being dirty, it may be a broken roller on the sash you removed. If the roller isn’t rolling, try cleaning it first, and if that doesn’t work then unscrew the unit and remove it. Replace the roller with a new one, and make sure the screws are tight. Replace the window in much the same way that you removed it. Sometimes it helps to ease the rollers over the track using a butter knife or a putty knife. 1 – A window that’s rattling is one that’s not secure. If it’s the window that’s not the slider, then you need to seal the edges of the window. You’ll want to remove the original sealant and clean the surface. Seal the window. For a quick repair of the slider, you can just push some tubular insulation into the channels of the track. 1 – Stuck windows can sometimes be caused by a bent track. When this happens, the rollers can’t glide, as the track has been interrupted. Straighten the track by placing a piece of wood against it and tapping with a hammer. You want to work gently and carefully so that you don’t cause any additional damage to the track. Pliers can be used as well, if the hammering doesn’t work. Be warned, though, that you can cause small dents in the track if you’re not careful, which can cause the rollers to catch and stick in the track. NOTE: When your window sticks, it’s best to fix it quickly. Whatever you do, though, don’t try to force the window open. This can cause the glass to break, which would be far more dangerous and costly to deal with in the long run. Sliding windows can be problematic at times, but it’s nice to have the option of fresh air when you want it. Fixing a slider is a simple task in most cases, and one that you can do on your own. Need help with your home windows sticking, not sliding, or not opening or shutting? Please leave a comment or question below and we will assist you to fix it. Previous post: My Toilet Will Not Stop Running – How To Fix a Running Toilet?